We have nearly 400 self catering holiday cottages scattered across Cornwall and now we can offer you our first Yurts! They have proved incredibly popular when we've shared pictures on our Facebook page, I can now bring you a bit more information and some more tantalising pictures to whet your appetite. So get comfy with a cuppa on this dull autumn day and have a good old perusal of our latest venture. 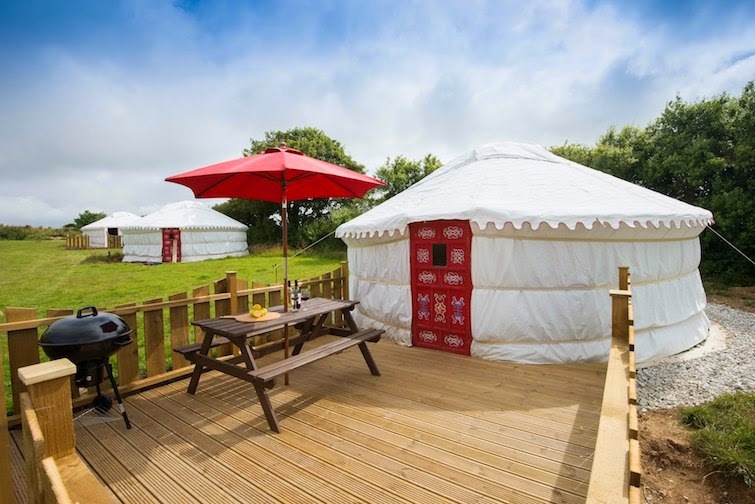 We have a total of five yurts all on the same site in Perranporth on the north coast. 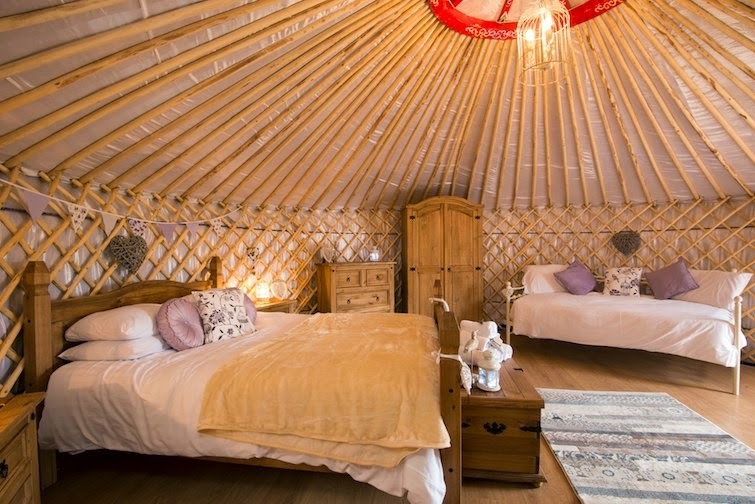 Each yurt sleeps up to 4 people with fantastic onsite facilities. Each Yurt has a 5 foot double bed, with 2 single futon beds. A wardrobe and 4 drawer chest. A 40 inch flat screen TV, round table with stools, and electricity is provide to e yurt. Each yurt has its own private decked area with seating and BBQ. The Carnebo site is open from the beginning of April to the end of September. 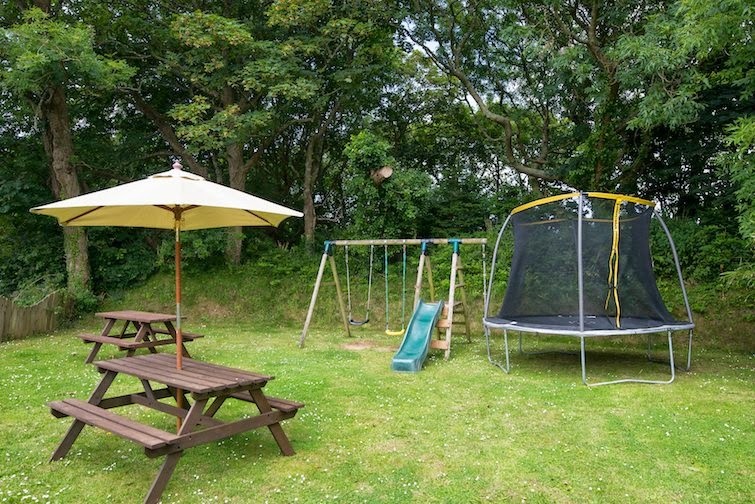 There is a shared outdoor heated pool, garden and children's play equipment area. 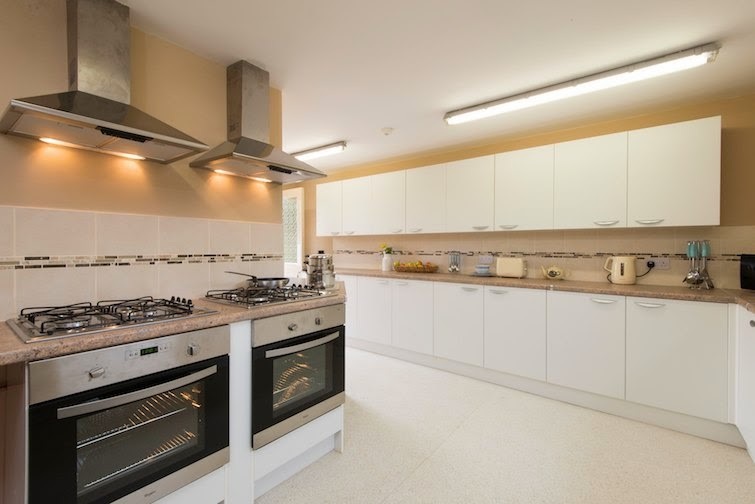 Shared facilities also include a communal kitchen (with private fridge and cupboard per yurt), separate women's and men's shower facilities, and a private disabled washroom also available. There are 2 washing machine's and metered dryers for shared use on site. Pets are welcome at a small additional charge, it is a very pet friendly site. For more information on any of our yurts please see the individual links below, or our dedicated Yurts in Cornwall page on our wevsite. 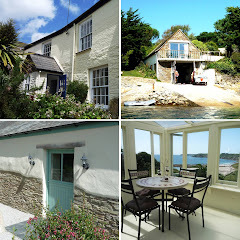 Or for all of our self catering cottages please visit www.CornwallsCottages.co.uk. Orchid Yurt & Bluebell Yurt are both yurts with a 5 metre diameter. 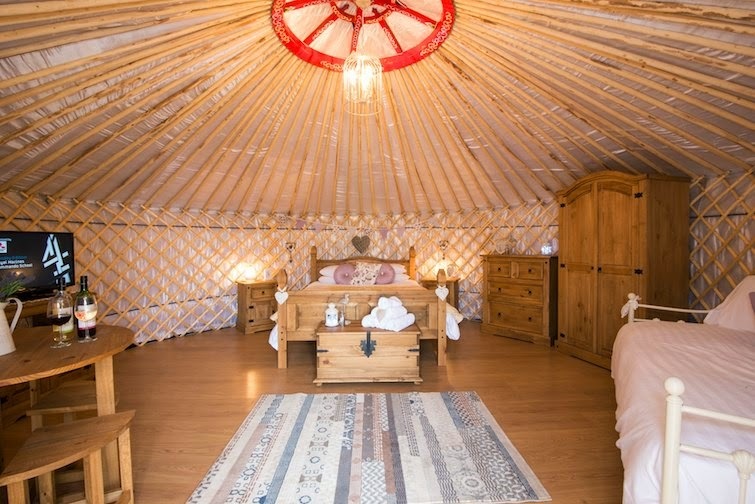 Poppy Yurt, Primrose Yurt & Lavender Yurt are yurts with a 6 metre diameter. 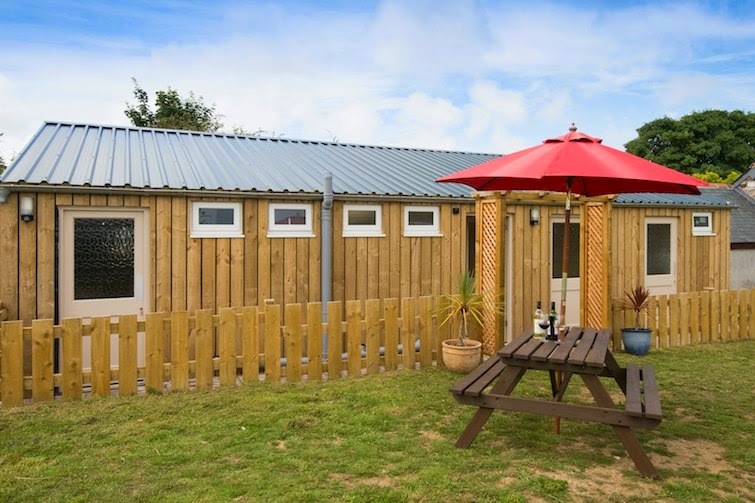 We also have two self catering holiday cottages on the Carnebo site at Perranporth, if your family requires a mix of accommodation, see our website for details on Fistral Cottage or Towan Cottage.